Cambridge Manor, Middletown condos for sale. Cambridge Manor Middletown is a community of 171 condos and townhouses located on 41 acres in Middletown, NJ. This community is located on Route 35 North. 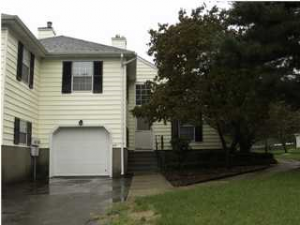 The homes in Cambridge Manor Middletown have either one, two or three bedrooms. The 1 bedroom units can be found on the upper or lower level. The homes on the lower levels have a study, and the upper level condos have a sunroom and a loft. There are two models of two bedroom 1.5 bath townhouses with a garage available. Some of these units have a fireplace. There is one style of a three bedroom 2.5 bath townhouse with garage available. The homes in Cambridge Manor Middletown are in the starter home price range. This is a pet friendly community. however this community does not have a pool. However, Sandy Hook is nearby. Bus service is available on Route 9, and the is a Park and Ride lot in the Lincroft area. There are two exits on the Garden State Parkway in Middletown. In addition, the Middletown train station provides access to the New Jersey Transit North Jersey Coast line to New York City. Also, the SeaStreak Ferry offers rapid transit to New York, in addition to being a great way to start your day. Students from Cambridge Manor Middletown will attend Fairview Elementary School, and Thorne Middle School. When students enter high school, they will attend Middletown North High School. There are 17 public schools in Middletown. There are twelve schools for grades kindergarten through fifth, and Middletown also has three middle schools (6-8). In addition there are two high schools. In total, the student population in the Midletown school system is more than 10,000. There are also two private high schools in Middletown along with three private grammar schools, Brookdale Community College is also located in Middletown. In addition, there are numerous private schools in the area, as a result parents have many choices for educating their children.